She may feel the same about a French name, or a South African name — any foreign name. Maybe she’s not good with any names. But she said it out loud about Asian names and I bet she never would have done that about other names. Asians (and other people of color in the US) are easier to treat this way. I think — and some of you will think I’m being overly sensitive again and whiny again — that this reflects a very real belief on her part, which is just below her politically-corrected, public persona. It may not be overtly racist. it may be a matter of practicality. I’m sure she’d be happier if everyone she deals with had easier names to pronounce. There is a long history of immigrants to America changing their names to “fit in,” whether they were from Europe or Asia, from Jewish backgrounds or Buddhist. Families have shortened names or changed the spelling. After we left camp we were advised not to go back to the West Coast â€™cause they said there was too much hostility and no housing and my parents werenâ€™t likely to be hired for any kind of work, so we went to Cincinnati. And it was primarily an all-white neighborhood, mostly very low income. I was starting nursery school and kindergarten. When my mother came to pick me up I remember the teacher saying that, â€œYou know you have to change her name. Because if you want her to be a real American, she should have an American name.â€ So they changed my name from Satsuki to Sandy, so I was called Sandy â€™til I was 35. And it hit me that I had spent most of my life using the wrong name and I wanted my name back. My mother got very fearful and she said, â€œDonâ€™t do it. Bad things could happen. They wanted you to have an American name.â€ So she still had a lot of fear about what could happen. I felt great. It was a very important thing for me to do, because my father was a haiku, he was a poetry teacher and he gave a lot of thought to that name. And so I felt like I had to reclaim that part of myself. We know a Japanese American educator and community activist in Boulder, Aya Medrud, who also was forced to take an Anglicized name, Mariagnes, which she finally dumped a couple of years ago to use her original given name. The late Bill Hosokawa, the journalist, author and diplomat who was a role model of mine in many ways, often spoke of how he was given his name by a schoolteacher who refused to use his given Japanese name, “Kumpai.” He wasn’t an immigrant — he was born in Seattle. But, we also know of many Chinese immigrants who have taken Anglicized first names simply because it’s easier than constantly explaining how to pronounce their names. I know a journalist from China who chose the name “Melody” because she thought it sounded pretty. It had absolutely nothing to do with her real name. Sometimes, Asian Americans can’t pronounce their own names they way it might be pronounced in the country of their family’s origin. My favorite example is Bob Matsui, the late Congressman from California, who pronounced his name “MATT-suey,” appropriately like the America-invented dish we think is Chinese, chop suey. But we’ve met a Filipino American man in Denver who Anglicizes his name on purpose when he introduces himself, because he got tired of saying his name multiple times, or correcting people. I know people will see that as proof that Asians should change their names to get by, like Brown suggests. But to me, that’s not an option. It is sad to think that anyone should give up such an important part of their identity. Even so, if an Asian American wants to change her name as part of the process of becoming accepted as American, or chooses to alter the original pronunciation of his name to accommodate people who can’t say it correctly, at least that’s their choice. The decision isn’t arbitrarily being foisted on them by an authority figure such as an immigration official, or teacher. Or a lawmaker. Although Brown wasn’t advocating the changing of Asian names on a legal level, I wish she’d been more aware of her position and the possible ripple effects of her constituency agreeing with her ignorant notion. I mean, honestly: In this multicultural, increasingly global, diverse world we live in today, should we just make an effort to learn to pronounce names and words we think are difficult? The Japanese American Citizens League (JACL) is astounded by your comments during a House hearing that Asian Americans should find a way to make their names more understandable for voting purposes. America has always treasured diversity by welcoming immigrants despite their ethnic or racial origin and despite their unique characteristics such as their customs, language and even their names. When you make comments such as “Rather than everyone here having to learn Chinese…do you think that it would behoove you and your citizens to adopt a name that we could deal with more readily here,” it marginalizes and demeans all Americans who truly value their ancestral heritage. Moreover, we take strong issue with your position that the onus of responsibility should be on Asian Americans not to be disenfranchised. Instead, legislators should make thoughtful decisions about ensuring that everyone has unfettered access to the polls. Japanese Americans are well acquainted with this treatment dating to a less tolerant time prior to World War II when teachers and others, unable or unwilling to pronounce Japanese names, simply imposed an anglicized name on individuals. 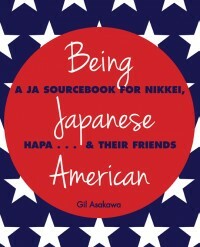 During those times when society was less accepting of differences, some Japanese Americans may even have welcomed these new names, but the choice should have been theirs because an imposed name-change may have left many feeling diminished and ashamed of their ancestral identity, in addition to having their parents and families feel disrespected. Your comments demand an apology because they were at least insensitive and play into a myth of foreignness about Asian Americans. Moreover, your remarks suggest an undue burden on Asian American voters. The greatness of America is that it provides a place where it is safe to be who you are regardless of your race, ethnicity, religion or your name. Your comments fail to echo this sentiment. The Asian American Democrats of Texas have posted an online petition for people to sign, which demands an apology from Brown. Tagged betty brown, immigration, pronunciation, race, texas, voting id. Bookmark the permalink. I don’t think the men of the “lost battalion” of the Texas 36th Division who were rescued by the 100th/442nd cared whether their rescuers were named Hayashi, Shimabukuro, Tanaka, etc. The Texans were just happy and grateful that the men who came to get them were Americans. Perhaps Representative Brown can broaden her horizons by contacting the 36 ID Association. A very powerful point, Isami. Thank you for posting this. +1 on the thanks, Isami. Well, that’s something that most people have to do when they go to a foreign country. In Japan, I was Keri, not Kelly. The poor Thai students had to adopt completely different “Japanese” names because theirs were unpronounceable in Japanese. It’s an adjustment you have to make when you decide to live in a different country with a different alphabet. They should probably pick one transliteration (and stick with it) and have their chosen “Western” name as one of their middle names or something….That old woman was just annoying in the dogged, unintelligent, insensitive way she went about tackling the problem. Good point, Keri… er, Kelly. It’s true that Japanese are horrible at transliterating foreign words into Nihongo…. Absolutely. I truely believe Mr. Brown should apologize. Come on we don’t live in the 19th century how can society can change and work united for this country if our representatives continue plowing differnces between people. WHY do poeple with no American names have to adapt and we dont’ adapt to them?? I thiink that is BS really!